Upgrade your car with the Tucson area's best and most reliable automotive customization experts at Custom Auto Sound by Stereo Pad. Since 1972, we have provided professional and honest service. Visit our showroom to browse our top-of-the-line products, including car audio, video, security, and more. » Over 40 years experience. » Best warranties that anyone can offer. One year over the counter warranty on most brands. Best of all, these warranties are at NO COST to you! » Casual, no pressure atmosphere. "Awesome. Do not go anywhere else. If you want to go inexpensive (I did) or want to go big, this is the place to do it. I found them on yelp and once again, I was not let down. I told them what I wanted and they made it happen for basically the same price any competitor would have. When I came back to pick up my car, they took the time to show me all the functions of my new car stereo. Great touch. If you see me rolling down the street in my old Mercedes jamming some tunes with a smile on my face, you will know what I mean!" "I just had a full installation done here at Stereo Pad and it turned out even better than I expected. I came in not sure exactly what I wanted or how much I wanted to spend. Jason was very accommodating to my needs and provided examples of many different set ups for my budget. Brian, the Service tech is very professional with all installations and explains everything in detail once the install is complete. If your looking for quality, this is the place to go." 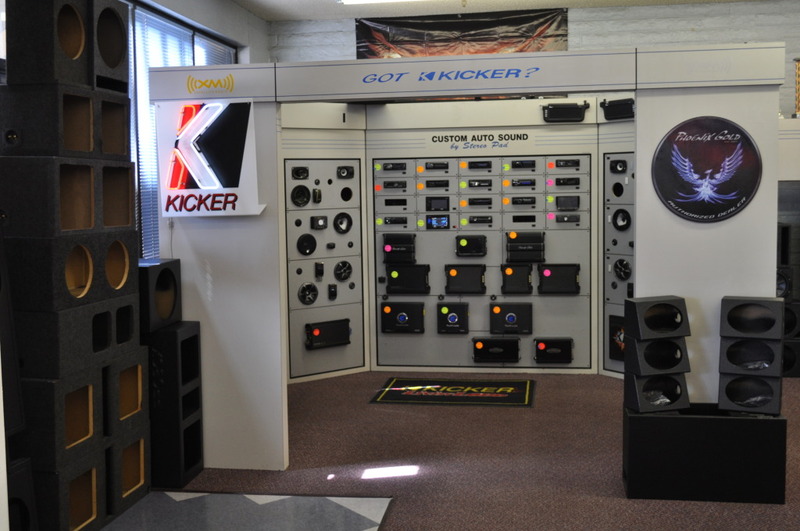 "This is the only place that I would ever go to for car audio in Tucson." Seeking installer with experience with a retail store! Call us today for a career opportunity! security, alarms, speakers, installation, buying, and more.